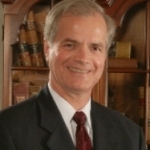 GableGotwals attorney David McKinney is well recognized in Tulsa for his legal skills. He holds an undergraduate degree in physics which he utilizes as a contributing physics author. Most recently, David became a children’s storybook author and has published the first in a series of children’s books based on stories told to his own children. Each Aaron the Aardvark book combines a mischievous boy’s adventure, playful definitions to expand a child’s vocabulary, and poetry. Future books, written for older children, will follow Aaron as he grows older. David worked with Hannah Lollman as the illustrator. Hannah is married to Justin Lollman, who will start full time in September as an associate attorney with GableGotwals. David’s second book is currently being illustrated by Hannah and with plans to publish later this year. 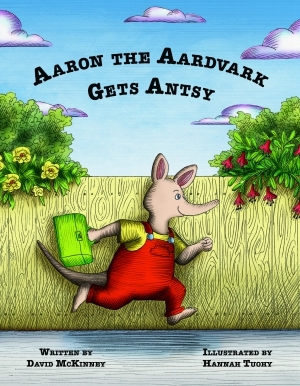 Aaron the Aardvark Gets Antsy is the first in a series of Aaron the Aardvark adventures and is available in paperback form on Amazon in addition to being available on all electronic book websites.